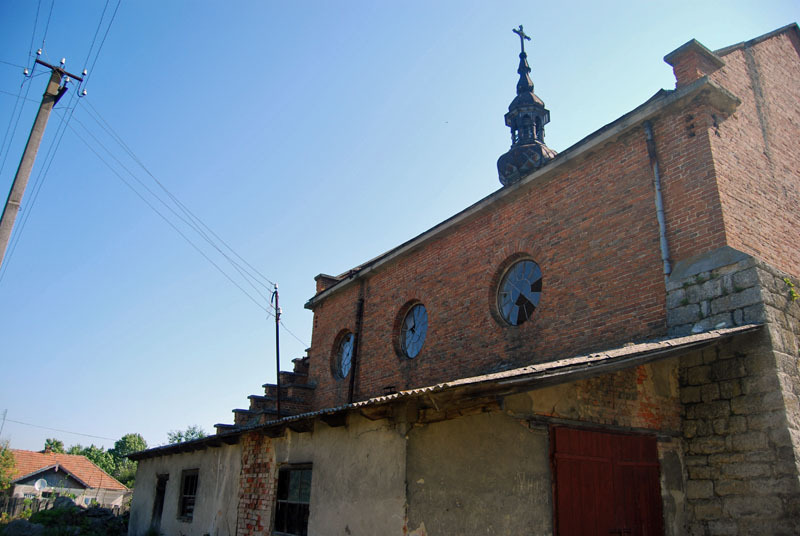 When I visited the home of my ancestors in 2011 in what is now Ukraine, we briefly visited the town of Łuka Mała, also called Mała Łuka. 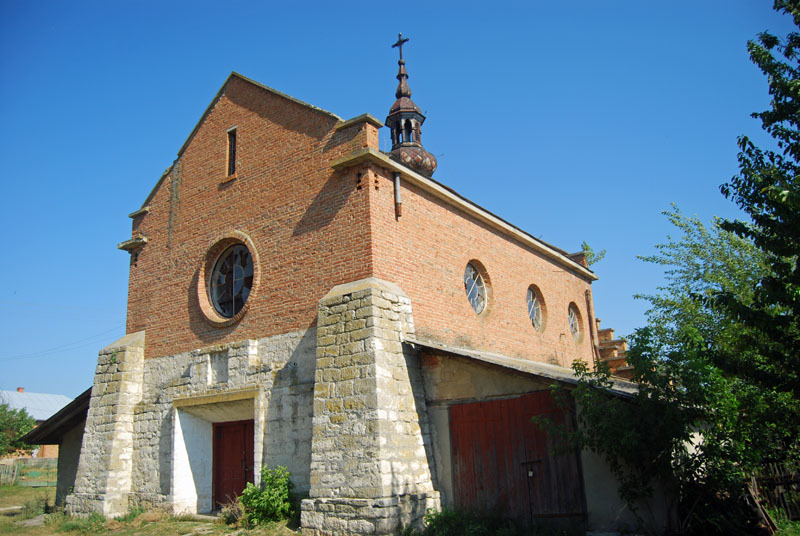 Our goal was to see the Greek-Catholic Church where my great-grandmother had been baptized in 1886. On our way there, we passed a former Roman Catholic Church. 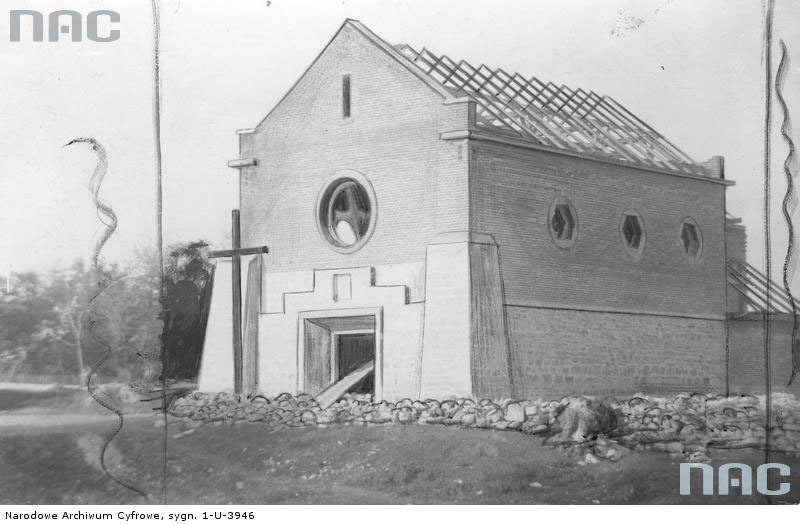 The church had been built about 1918. At that period in history, Poland had just risen from the ashes of World War I again as a once-again independent nation after well over 100 years of partition. This part of the world was heavily Ukrainian (Ruthenian) though a big mix of Poles lived there as well. 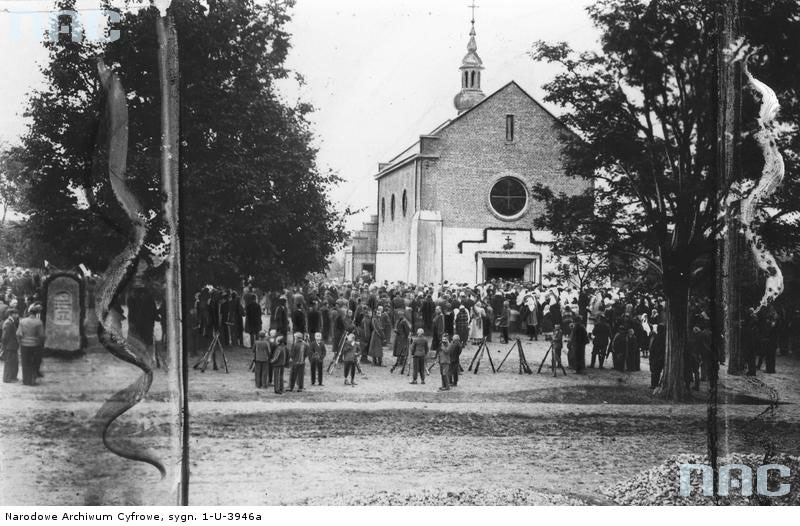 Most likely the church was built as Poland attempted to Polonize the area after “regaining” that territory after World War I. But after World War II, the borders shifted yet again and this area became the Ukrainian SSR. All Poles (including some of my family) were forced to leave and relocate to Poland. Only Ukrainians (also including some of my family) were allowed to remain. 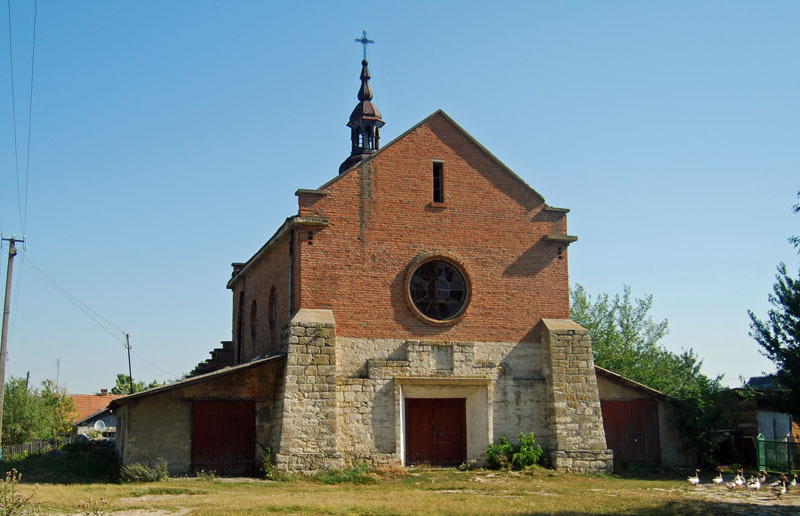 And so this Polish Roman Catholic Church was more or less abandoned. 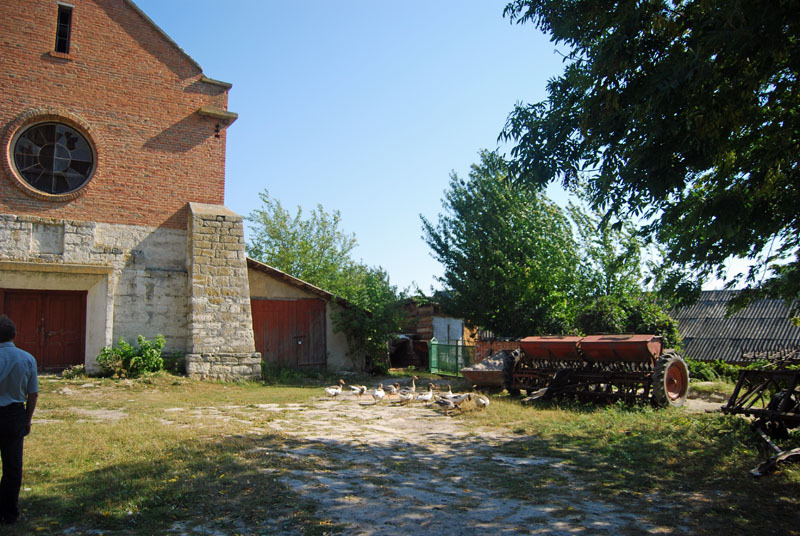 Today it is in essence a barn, a storage shed as you can see in this picture. But here’s a picture of it when it was being builts, somewhere shortly after 1918. It sure looks different today…. Now it’s got “wings”–more sheds on the side. And it suffers from age, and is in need of repair. But it was once a Roman Catholic Church, and you can still see that glory in the building today…. You can find this church on Google Maps here. This entry was posted in historic sites, history, Kresy, Photos, Ukraine. Bookmark the permalink.